When it was recorded in October 2015, Dream Deferred was drummer-bandleader Ralph Peterson’s way of addressing the spate of police shootings of unarmed black men and the lack of accountability that resulted. When the disc was released just a week before Donald Trump was elected president, it became an even more prescient call to arms. The music itself is not overtly political—it’s entirely instrumental, with no vocals or lyrics—but the Langston Hughes reference in the title, the fact that Aggregate Prime consists of five astute and engaged musicians of color, and the mounting grievances reflected in our daily headlines all combine to put a noticeable charge in the ensemble interplay. Peterson has said his aim was to blend the instruments in the new quintet to match the roiling furor surrounding issues of police brutality, and specifically mentioned the flute of Gary Thomas as an inspiration akin to what Eric Dolphy wrought in the 1960s. The record opens with Dolphy’s “Iron Man,” and the band comes at it five astride, with guitarist Mark Whitfield, pianist Vijay Iyer and bassist Kenny Davis joining Peterson and Thomas in dense harmonies and a pointillistic spree of notes and beats. The next eight songs are group originals, four by Peterson and one apiece from the others. Even the straight burners, like Whitfield’s “Emmanuel the Redeemer,” benefit from the ensemble’s sophistication—check out the way Whitfield, Davis and Peterson operate at a breakneck pace without stepping into mere lockstep or unison lines. This is Iyer’s type of hard bop, and it’s a kick to hear him nestle in with a relatively straightforward solo. By contrast, his “Father Spirit” and Davis’ “Fearless” swing with odd-metered agility, even as Peterson’s battens down any loose ends like a dude wielding a nail gun before the hurricane hits. The final two tracks rework old originals. Yet another complex composition, Thomas’ “Who’s in Control,” from 1999, replaces the bass vamp of the original with Whitman’s wah-wah. Peterson’s “Monief Redux” is a torrid stop-and-go flexing of a song he first issued on his Blue Note debut, 28 years ago. These closing blends of flashback and refreshening feel consonant with the theme of the disc. As Hughes reminded us in the title poem, deferred dreams often dry up, fester, stink, sweeten and explode. 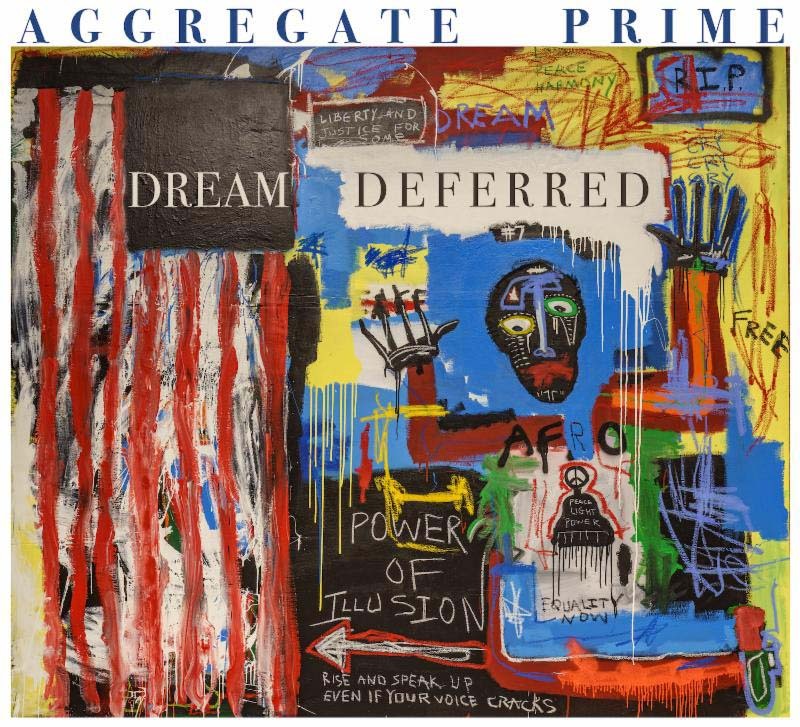 Aggregate Prime counters the decay with old-fashioned resolve, ongoing scholarship and new, more inexorable dreaming.